Author Charlotte Brontë, for example, thought the book offered merely a surface-level look of society at the time. 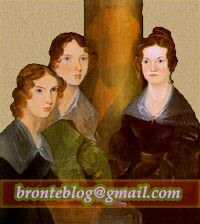 The Brontë children — Charlotte, Emily, Ann (sic) and Branwell — drew acclaim for the imaginary worlds they shared in books and oral storytelling in the 1800s. Such creativity, which had emerged early in their lives, is far from rare, says University of Oregon psychologist Marjorie Taylor. If I ever get asked about the book that most affected me, I’ll probably say Wuthering Heights, or Sebastian Faulk’s Birdsong, or Catcher in the Rye. But none of that is true. The book that had the most profound influence on me was Judy Blume’s Are You There, God? It’s Me, Margaret. Theatre Things reviews the current performances of The Full Brontë at The Space in London.